Georges Rouault and Henri Matisse were both asked on separate occasions whether, if they were stranded on a desert island with no hope of rescue or of ever being discovered, would they continue to paint? Dyrness, William. Rouault: A Vision of Suffering and Salvation (Grand Rapids, MI: William B. Eerdmans, 1971). Georges Rouault exhibit , Bowden Collection, by William Dyrness. Dyrness’ magnificent study of Rouault’s work has been one of my favorite books since I came upon it as an undergraduate in a course on the history of 20th century painting, and I have kept a framed print of “The Old King” in my home or office for at least 20 years. Personal reflection on his art has made Rouault seem like a life long friend and companion. Why keep painting? For the same reason one would ever begin painting in the first place. Why keep on doing anything? I have often thought of Rouault’s answer as a helpful way to reflect on one’s academic aims, one’s calling, or one’s life goals. If we would not keep on doing it were no one to ever pay attention, maybe it’s not the thing we should be doing anyway. Let’s “live like we’re dying.” There must be an inner fire, a drive that does not derive from external recognition, a passion arising from the heart of who we are. I was prompted to make this post because I quoted this anecdote to a friend earlier this week in a conversation over coffee, in hope that it might encourage her in her resolve to write more consistently. Rouault’s answer is applicable to any calling, whether I am wondering why I should paint, why I should write, why I should go or not go to college, why I should get up in the morning or do anything at all. I also linked to this post from my About page, regarding why I started this blog. It’s roughly the same point made by C.S. Lewis in “Learning in Wartime ,” where he explained to young scholars during WW2 why they should continue with their studies. 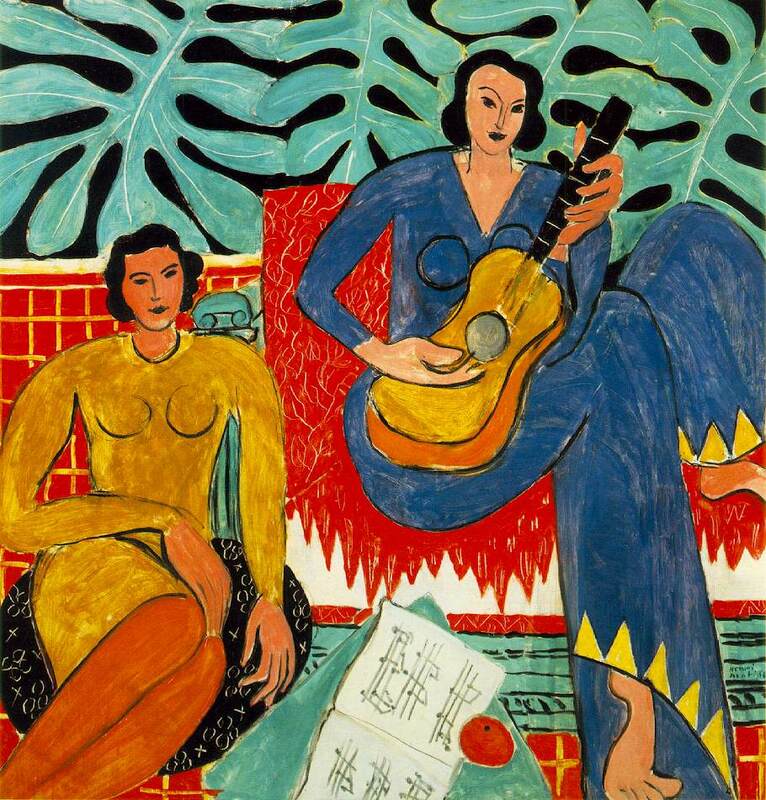 Bottom line: If you find yourself in a position where you are wondering why you should do something, or keep on doing it, perhaps the contrast between Matisse and Rouault may help you decide. This entry was posted in Art-Music-Lit and tagged C.S. Lewis, Georges Rouault, W.B Yeats. Bookmark the permalink. It is because Rouault painted for the glory of God, first and foremost. Matisse did not. Douglas, I’ve had your “On Jesus” book on my wish list for some time. I need to go ahead and read it asap! Anyway, thank you for your comment. And you’re right that God’s glory – for the love of Christ compels us – was the ultimate basis for Rouault’s confidence he would continue to paint even if no other human would ever see it. But maybe I can better clarify what I intended the title “Why?” of the post to prompt reflection about. Dyrness’ magnificent study of his work has been one of my favorite books since I came upon it as an undergraduate in a course on the history of 20th century painting, and I have kept a framed print of “The Old King” in my home or office for at least 20 years. Personal reflection on his art has made Rouault seem like a life long friend and companion. It’s roughly the same point made by CS Lewis in “Learning in Wartime,” where he explained to young scholars during WW2 why they should continue with their studies. Oops – the points mentioned above are not directed at Douglas Groothius, except for the first three sentences, but rather verge off into elaborations on the post for any reader.